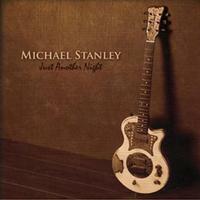 After many years without a thought about Michael Stanley it's nice to be reminded with such a quality product. This marks a grand return for the Cleveland, Ohio native who hasn't exactly been in the spotlight for quite some time. 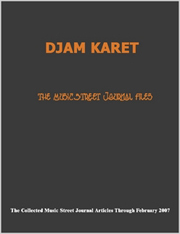 It's full of first rate ballads and epic tales which can be compared to Springsteen but certainly not many others. Just Another Night is a modern classic, a folk journey of great rock tunes with a strong adult contemporary feel. This is an instant classic. A familiarity factor dominates it as a near perfect accomplishment is made. “Just Another Night in America” is an infectious number with the authentic story telling approach for which Michael Stanley is best known, but here he is inspired beyond the norm. This opens with a heavy percussive feel as Stanley begins with a low register, narrative prod. He sounds vocally very much like Chris Rea did on “Road To Hell,” but with a humorous vibe. This also features an excellent raunchy guitar solo. Stanley follows the same narrative feel but with more of a western style on this one. Things really build up to the chorus very well and that is important because it's a great chorus. The whole track is led by a melancholy hook. It’s another great gem. This is as good as any other track on the set. This is a soulful ballad with a jazzy touch, added by a sax solo. It's a duet with Jennifer Lee and they complement each other with ease, backed by another excellent arrangement. This is where the Springsteen influence can start to really be felt. It's just that style of tune in every way. I know it can't be denied but I can also easily tell the difference between the two, but someone else might think this is the Boss himself if you played it for them. That is a good thing in my book, and this is another fine ballad as well. On this track Stanley changes it up again and takes the vocals down a notch. A complete contrast like this helps keep the listener interested. It's nothing spectacular but still another decent track as the consistency doesn't seem to let up. This is a very relaxing and satisfying tune. "You’re always the answer / any time I try...."
This opens with an organ and some horns before Stanley starts in about standing by when nobody does a thing about what's going down. There are all kinds of groove factors in this smoky track with everything perfectly blended. The power of now is demonstrated with great urgency as Stanley acknowledges learning from his mistakes. This is one of the lyrical high points for me on what is another standard ballad with an appropriately placed saxophone solo from Paul Christensen. This track has a big sound with yet another change in vocal stylings from Stanley as he stresses, "Pay me now / Pay me later / It's all the same to me..." The guitars get a second to stretch out on this one, something they could stand to do more. Another one of the slower ballads, this is a very soothing acoustic dominated tune with one of the best vocal performances on the disc. This is a very well done effort from Stanley, getting down to the heart and soul of things. Things go back to a rock vibe on this one, and it's all about the band being in their element when everything falls perfectly into place on stage. This is what Stanley calls "The Real Thing." This track is about a place in Ireland where the band played. It's another lovely ballad but here some strings are featured to accompany the chilling story - fantastic! Things close with a steady pace until about mid-way through this track where a beat mildly kicks in and a killer arrangement takes everything over with sweeping orchestration and heavy percussion. This is the last thing the listener would expect. To open and close in such epic fashion, and fill things with such enjoyable passion is a bold accomplishment from all involved on this remarkable recording.